A vehicle’s differential (or diff), whether front (FWD), rear (RWD), or both (AWD), helps deliver power to the axle(s) and regulates how fast each wheel rotates. Like any other component of a drivetrain, differential problems may arise over time. 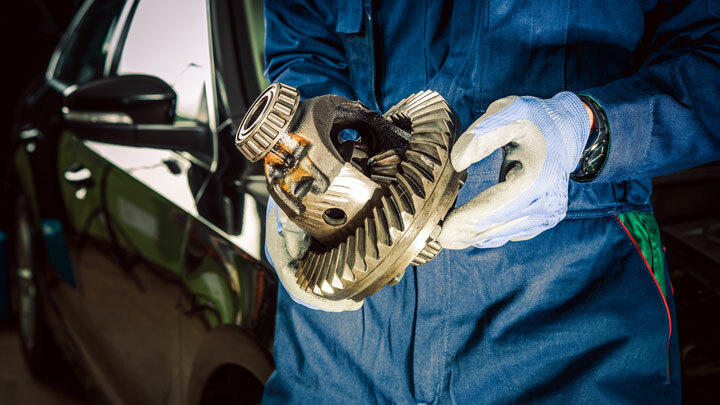 Because the issues can be anything from replacing a seal to a complete rebuild or replacement, differential repair costs can vary greatly. Read on to find some average prices for front and rear differential repair, rebuild, and replacement costs as well as the typical price of a differential fluid change. The repair costs of the front and rear differentials will fluctuate based upon the repairs that are needed. Sometimes you may only have to adjust the backlash or replace the oil seal of the differential. These are light repair jobs that will cost between $200 to $400, depending on the make and model of your vehicle. But if you have more extensive damage to your differential that requires it to be dismantled or overhauled, then you are looking at about $400 to $800 in repair costs. However, these costs are only associated with vehicles that are front engine with rear wheel drive (FR) type. If you drive a vehicle that is front engine with front wheel drive (FF) type, then the repair costs of the diff will likely be more expensive because the transaxle has to be pulled down and dismantled first. This takes more time for the mechanics to do which means the hourly labor costs (typically around $85/hour) are going to add up fast. On average, replacing a front differential is about a 3 hour job plus the cost of parts of course. More advanced types of differentials will also affect price. How often you need to change your differential fluid varies for each specific vehicle so be sure to check your owner’s manual. 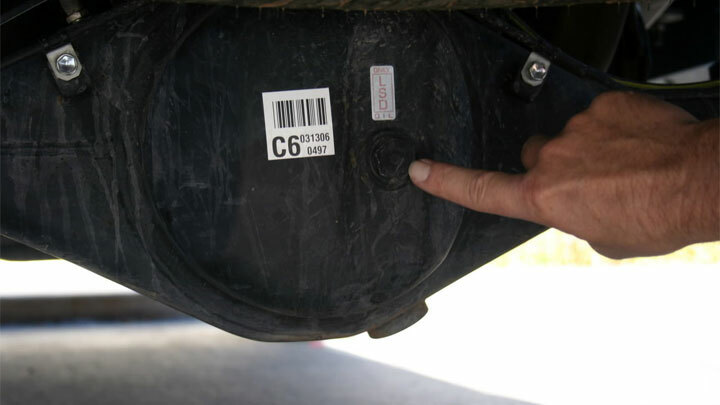 Rear differential fluid or oil commonly uses conventional oil SAE 90. For a front differential which is built in together with the manual transaxle, it commonly uses full synthetic oil SAE 75W-85. The average total cost to change the differential fluid is between $60 to $160 (if using a brand like Castrol). The cost of the fluid is about $30 to $50 and labor costs will run you between $30 and $80 (depending on the car brand and model). To fill up the rear differential oil, you need approx. 2.5 – 3.5 liters oil (again dependent on the car brand/model). The trick to keeping your differential working smoothly is lubrication. You need to change differential fluid regularly. The differential gear needs to be lubricated consistently or else the car will not drive or turn properly. Two of the most common causes of differential damage is due to lack of fluid or fluid that hasn’t been changed in a long time and is past its lifespan. 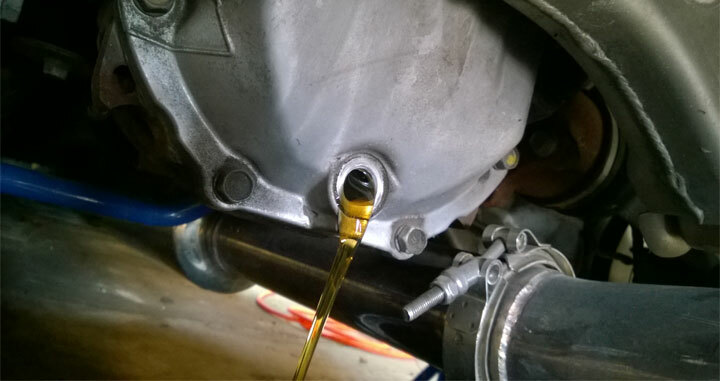 Therefore, you need to ensure that your differential fluid/oil is in good condition and is filled to capacity according to what the manufacturer recommends to keep the differential in good working order. With all the friction that occurs in the differential gears, it is very easy for the gears to overheat. Good quality differential fluid will prevent the gears from burning and getting worn out. You’ll know when you need to replace the differential fluid because you will start to hear a humming noise coming from the differential side. You may even experience vibrations, fluid leaks, and even some strange noises as the symptoms get worse. It’s simple and should only take about 10 minutes. Just open the filler plug, then put your finger on the hole filler and then you can see the fluid level and its condition. And to make it even clearer, briefly open the drain plug so a bit of fluid comes out into a small tray. If fluid doesn’t come out, the level is too low and more fluid should be added. So i went to a shop to change breake pads and rotors but it was still squeaking. So the mechanic checked my rear drum brakes and said both sides where leaking and was called the differencial seal? Should i replace the entire axel or just repair the seal? Why noise come from drive head if there is dent on pinion or ring gear teeth?? There is no leaks nor there is no sounds coming from the vehicle while driving. The only thing is that the light keeps flashing. I don’t know what to do??? I have a whistling sound coming from the front when I drive between 20-25 mph. could that be coming from the front differential? Whistling sounds from the engine area are usually from a vacuum leak due to a worn or cracked hose. A pulley or belt could also be the cause. I have a 2000 ford explorer eddie bauer. front and rear differantial very loud.200,225 thousand miles. was told beerings would be 1500-2000. do i put more money in.can i buy a reasonalablre car for 2000 ? That’s a tough one. I’d have a really hard time sinking that much into a vehicle with that many miles (unless it’s already had major parts replaced). I’d recommend getting a couple different estimates before deciding as the price seems a bit high. I have a 1964 gto that has a grinding sound coming from the rear differential. When I test drove it, I didn’t hear that sound. Now that it’s been delivered to my location from a different state I can hear this sound. I’m going to check the fluid level today and see it it’s just low in fluid. What do you think?